Mama June's reality TV show tackled her drug arrest on Friday's episode while also capturing early cracks in her relationship with boyfriend Geno Doak. 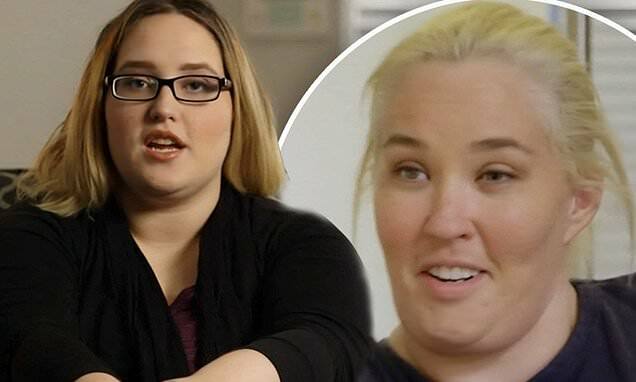 The latest episode of Mama June - From Not to Hot started with a WE tv raising 'concerns' over the 39-year-old's arrest last week – insisting it was 'monitoring events,' suggesting the show's future could still be at risk. She also admitted concerns over her mother – both 'physically' and with her relationship with Geno – started at least six months before the arrest, which was sparked by 911 calls from witnesses to an alleged fight at a gas station. The episode, filmed last October, showed those cracks emerging as Mama June, real name June Shannon, told Geno, 42, she thought she was pregnant – with him having to run from the room to throw up. '**** no, I'm fixin' to throw up. I'm for real about to throw up, dude,' he said, running to the bathroom and begging cameras not to follow. June already knew her man was against the idea of having children, with him making that vocal as a young played near them in an ice cream shop.